When you're planning a trip to Disneyland, one of the first considerations is cost. It can affect the time of year, length of stay and the quality of your trip. The most common complaint I hear about the Happiest Place on Earth is how expensive everything is, from hotels, to admission and food. While it's certainly true that you have to pay to play, a trip to Disneyland doesn't have to break the bank. Take it from Disneyland-expert Jessica Sanders, author of the new guide Disneyland On Any Budget and founder of the The Happiest Blog on Earth. As a California-native who now finds herself planning family vacations from out-of-state, she understands the struggle of finding the funds to visit Disneyland. This guide covers all the basics and more to get your family to Disneyland on a budget. Despite being a regular Disneyland attendee, I learned so much about how to save on rental cars, souvenirs and more. Now I have something to recommend to my out-of-town friends who are planning a trip to the park! Jessica does a great job providing several options that will work for any budget. She provides well-organized information to help you answer the important questions like what airport to fly into, what hotel to stay at and how to buy discounted Disneyland tickets without getting scammed. The amount of money you will save on your Disneyland vacation will pay for the price of this book plus much more. Right now, Disneyland On Any Budget is available for 50%! The sale ends on April 5, so secure your copy today to have all these valuable tips available for your next vacation. Purchase through the Amazon marketplace, then load the guide to your ebook for easy access during your next Disneyland adventure! While I received a complimentary copy of this book, the opinions above are 100% my own. I am huge fan of The Happiest Blog on Earth and only share this guide because it's awesome! On January 11, 2016, we will forever say goodbye to the Goats of Disneyland, the other Circle D Ranch animals and the Big Thunder Ranch BBQ. When I heard that these attractions would be disappearing forever from Disneyland, I was heartbroken. 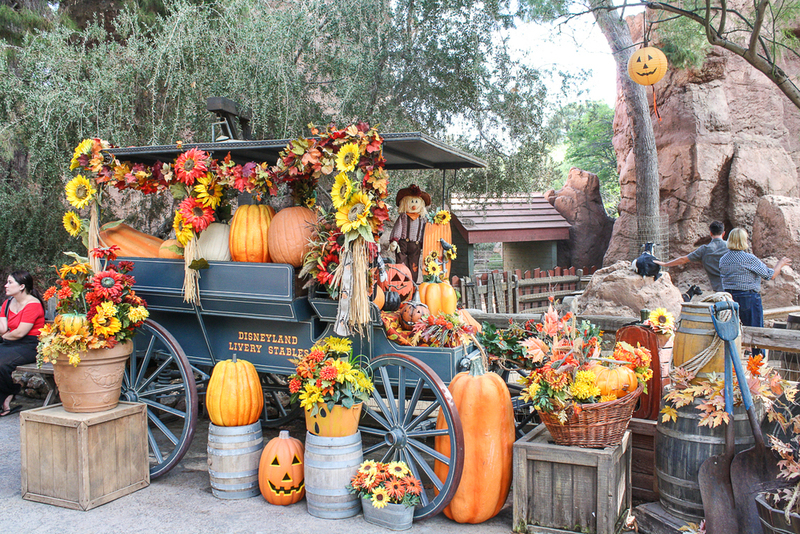 The Big Thunder Ranch is my favorite place to escape the crowds and get some goat therapy, and has always added that special "Disney" touch that no other theme park can touch. 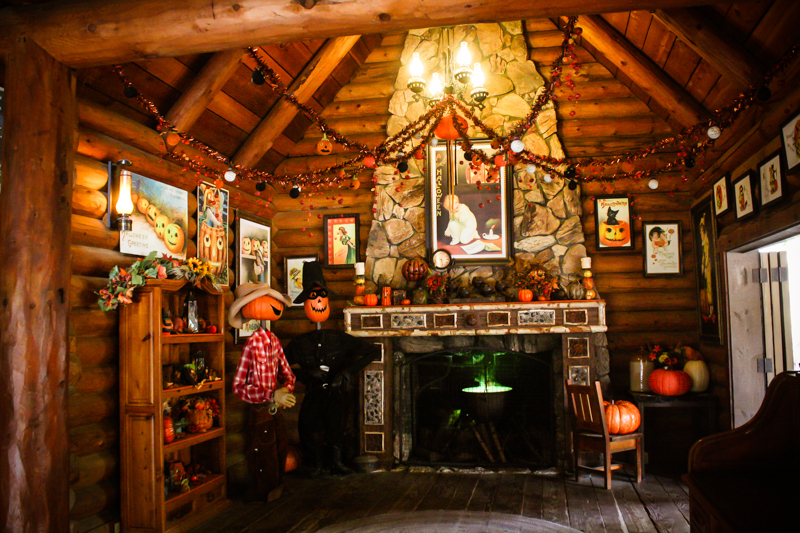 During the different seasons, the back ranch area would be transformed to welcome the Easter Bunny & egg decorators for Easter, the Villains & pumpkin carvers for Halloween, and it became the place to meet Santa Claus during Christmas Time. The stage area welcomed youth performances from around the country, and the food carts offered special seasonal treats. 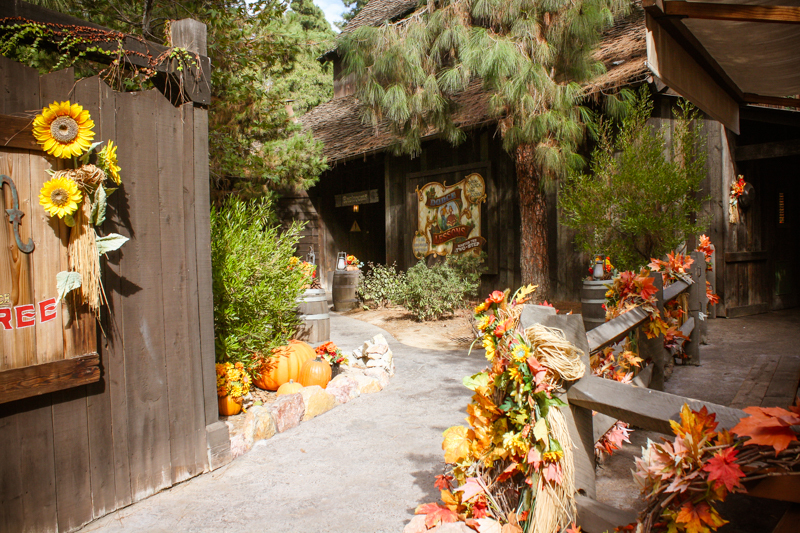 The Circle D Ranch has a history older than Disneyland, and a close place in Walt Disney's heart. 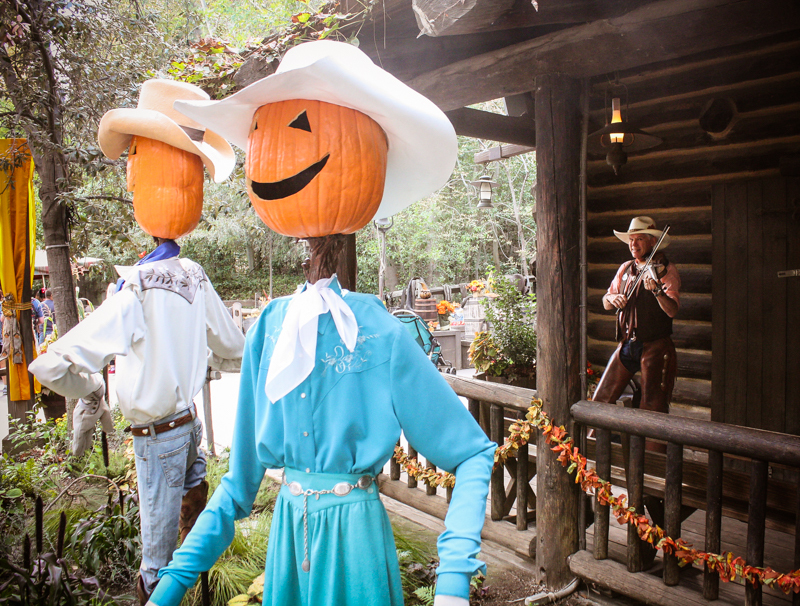 The Big Thunder Ranch is one of those places that creates that special feeling that only Disney knows how to create. Don't get me wrong, I'm a HUGE Star Wars fan and couldn't be more excited for the new additions. But it would make so much more sense in Tomorrowland... Don't take our goats away! Unfortunately the ranch's fate is sealed, and new homes have already been found for all the animals on the ranch. 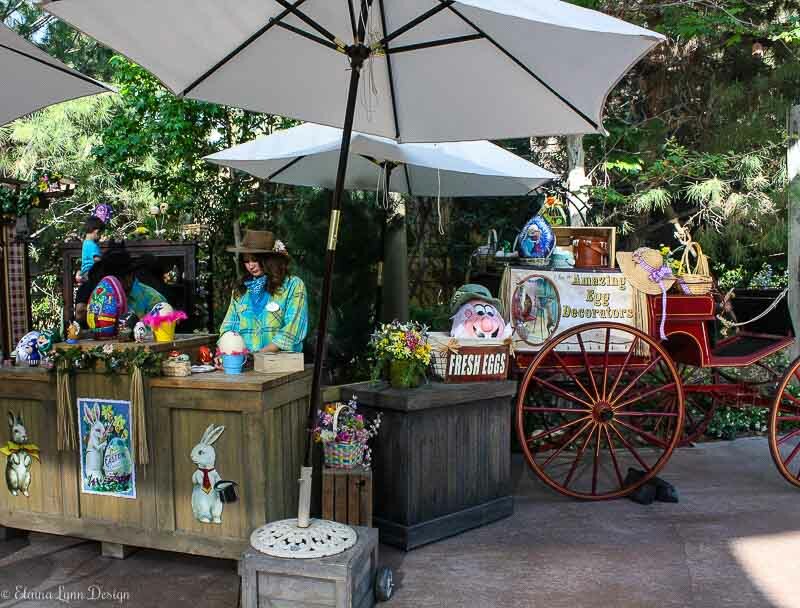 The horses will be the only animals to still be "employed" by Disneyland. They will live off-site and be transported in everyday according to the Cast Members. Many are worried that this closure included the Big Thunder Mountain Railroad. Rest assured, this popular roller coaster attraction is not going anywhere! 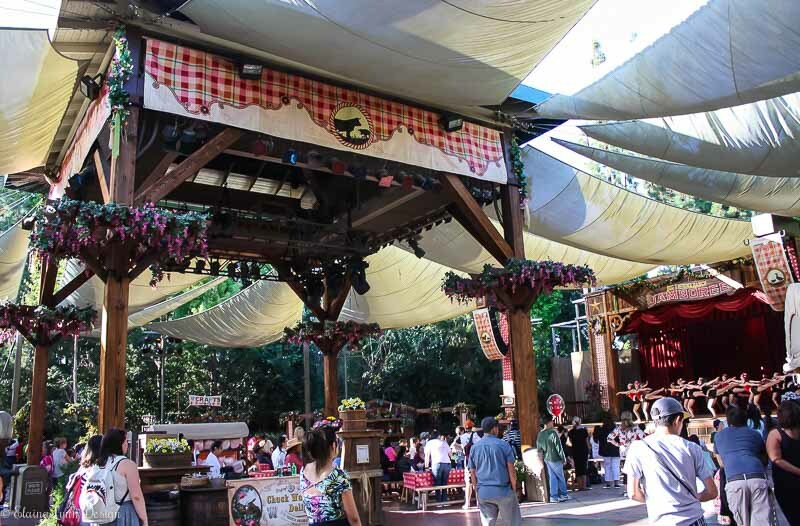 The only area closing is behind the Big Thunder Mountain Railroad. The ride will (hopefully) stay open throughout construction of Star Wars Land immediately behind it. So to say farewell to my favorite Disneyland Cast Members, here's some of my favorite photographs I've taken at the Big Thunder Ranch. Thank you for helping me say farewell to the Big Thunder Ranch. It's always bittersweet to close one chapter, but sometimes you must in order to welcome what's next. Before you go, I have one last treat. At the end of every day on the ranch, there's an event known as the Running of the Goats. It's where the goats run up the hill towards the backstage area for the night. They know that dinner lies on the other side of the gate, so they're very excited! I've captured the goats running on two occasions. My favorite is the second video where one of the sheep grabs a bite of the foliage before running after his friends. Farewell Big Thunder Ranch! You will be missed! The Haunted Mansion at Disneyland is taken over by Jack Skellington from The Nightmare Before Christmas between the months of October through December. His story has the unique honor of combining two seemingly separate holidays into one. Or as Jack says, this is what happens when two holidays collide! Since we are in that wonderful inbetween time when it's too soon to start decorating for Christmas but you're still finishing up your Halloween candy, it's the perfect opportuntiy to take a visual tour through Jack's Haunted Mansion takeover.